Hey There! I’m an experienced voiceover artist and actor from Australia, I’ve done multiple voice over work locally & overseas. I’m passionate about bringing a unique, engaging,...Read moreHey There! 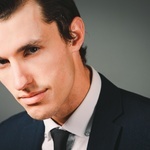 I’m an experienced voiceover artist and actor from Australia, I’ve done multiple voice over work locally & overseas. I’m passionate about bringing a unique, engaging, and professional Australian voice to every project I work on, from Commercials, Trailers, Animation, Radio, Corporate videos & more.